It may be that on rare occassions the room type you originally requested and booked is not available on your arrival. In this instance you maybe upgraded free of charge or refunded the difference in rate. If you depart from the hotel without settling any outstanding balances, we reserve the right to charge the card details held for you / your booking. 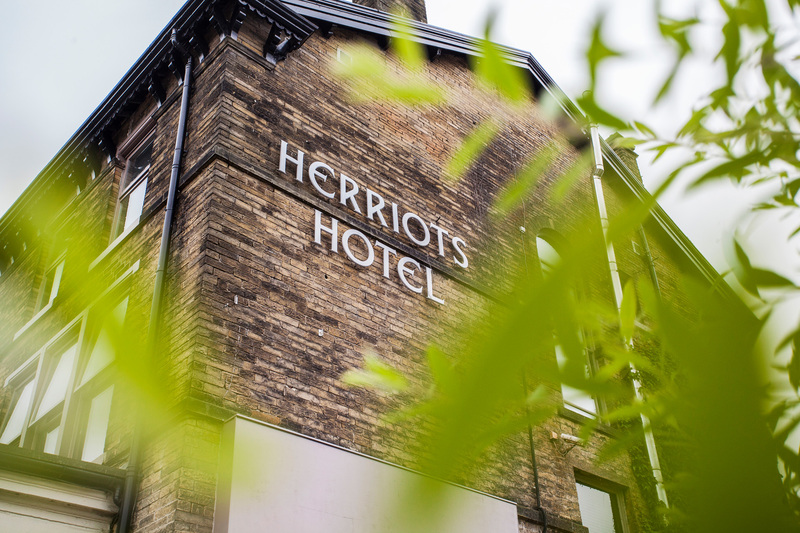 We would like to take this opportunity to advise you that, like many hotels, Herriots Hotel is a popular venue for Wedding Receptions and Private Parties and therefore some weekends, during the summer months, such events are likely to be taking place and certain bedrooms may be affected by a degree of noise. Every effort will be made during your stay to minimise the effects of any disturbance and to ensure that such events do not to interfere with the enjoyment of your stay. We welcome small well behaved dogs, but only have a limited number of rooms that are dog friendly. Please ensure that if you would like to bring your dog that you book this room directly with the hotel as these rooms are not available online. Dogs are not allowed in our main restaurant, but are welcome in the bar and courtyard provided they are kept on a lead. We recommend dog crates to be used where possible. You will be given a cancellation number which must be retained. You have the right to cancel and request a refund providing your cancellation does not fall within our cancellation policy or terms and conditions of the specific package chosen. Our cancellation policy is 48 hours by 12 noon prior to the date of your arrival. This will also be specified on your confirmation email. The penalty charge which will be deducted from any refund issued will include the package cost of any nights that fall within that 48 hour cancellation period. Please note that shortening your stay during the high season and periods of high occupancy will also incur a penalty charge for any night that has been cancelled within our 48 hour notice period. Certain package deals have a non-refundable or ammendable policy. These terms will be clearly stated in the terms of the package. Any due refunds will be processed within 10 days receipt of a valid cancellation number. Windle & Bowker, Croft House, Station Road, Barnoldswick BB18 5NA.